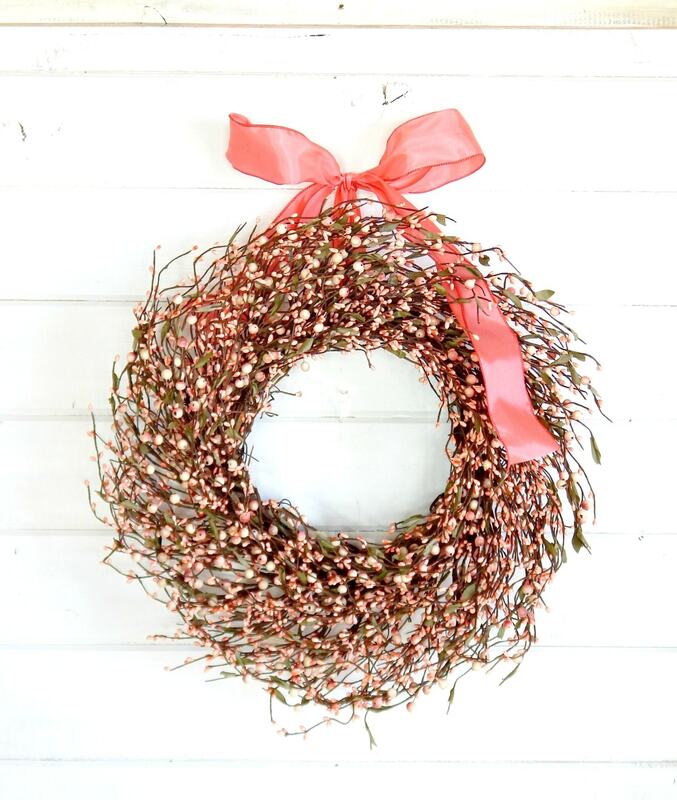 Welcome Spring with this PINK BERRY WREATH!!! 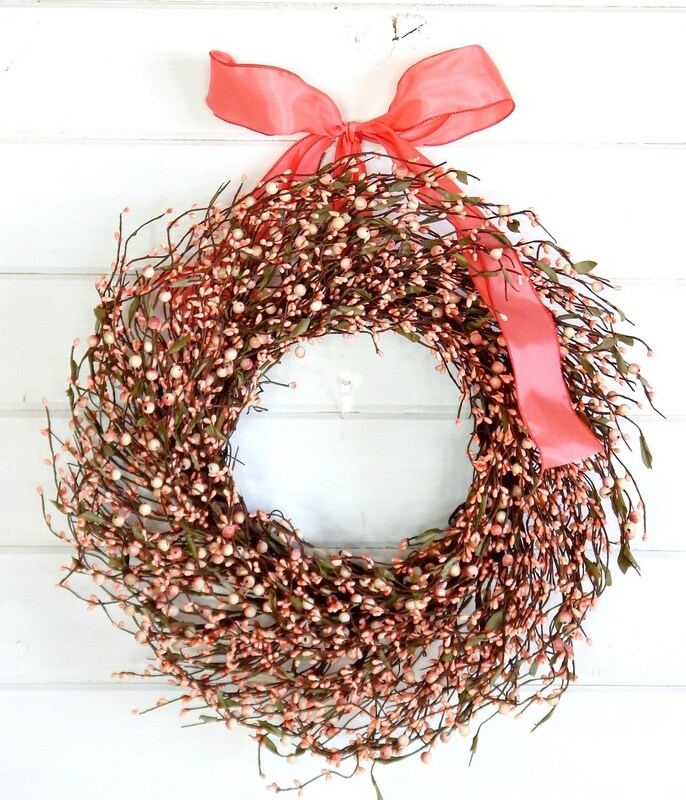 This Classic Grapevine Wreath hangs from a Satin Ribbon and will Welcome everyone to your front door. 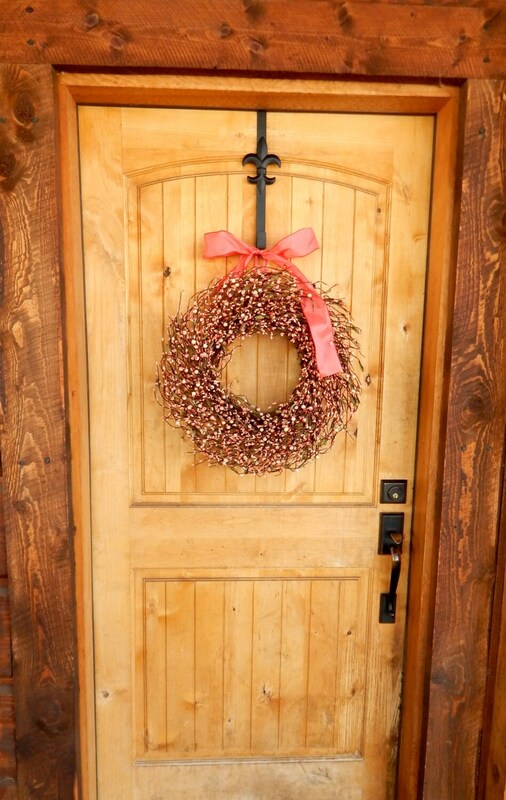 It looks great in an entryway, family room, office or porch. 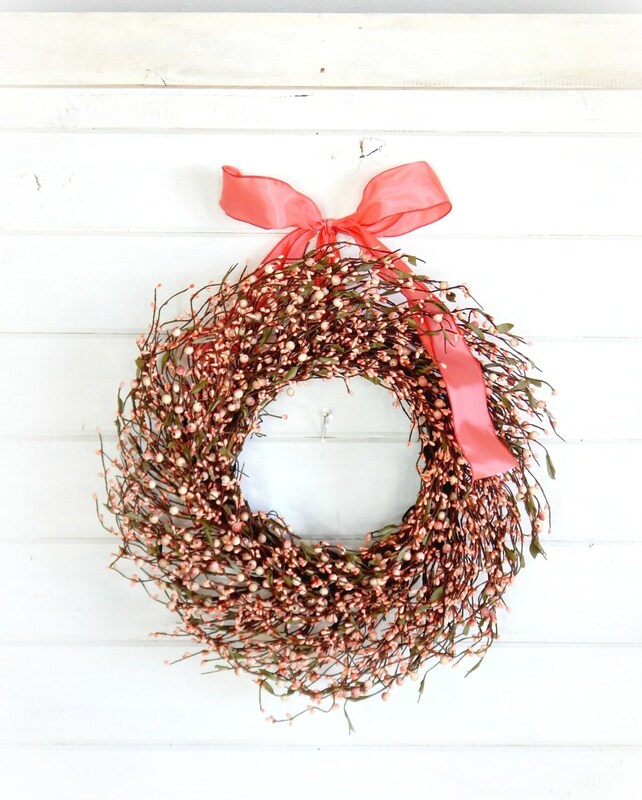 This wreath is packed full of Artificial Berries, greenery and Scented with our wonderful Scented Sprays!